Entertainer's Delight! 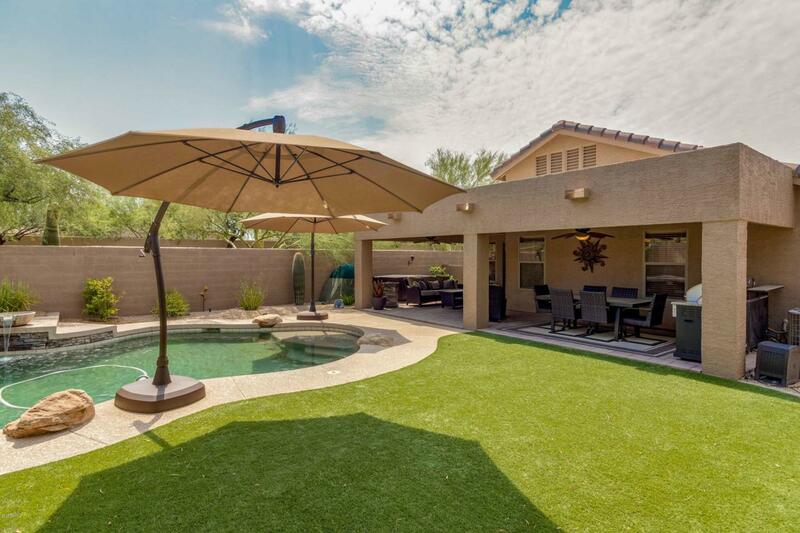 This home has the backyard you have been looking for - private pebble tec pool, water fountains, pavers, artificial turf, extended patio, stainless steel BBQ, and so much more! 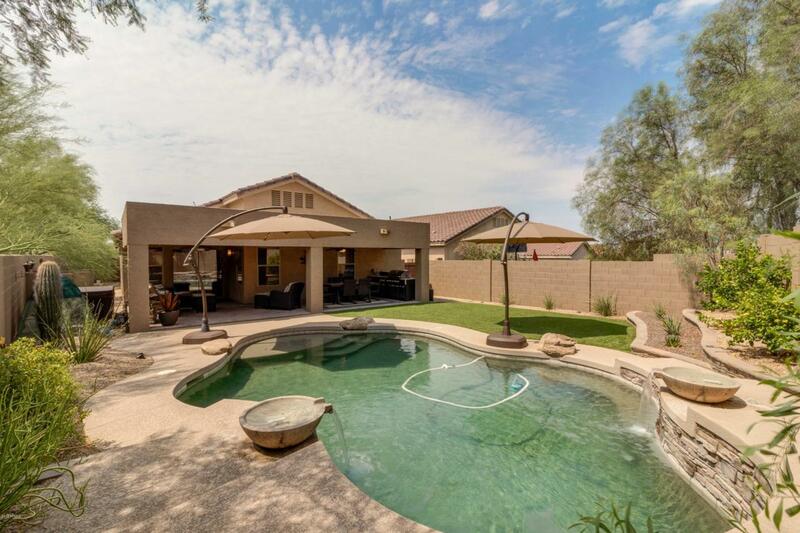 This is the place for summer pool parties and BBQ's. The kitchen is open concept with a high-top breakfast bar + island, granite countertops, stainless steel appliances, and plenty of storage. Tiled floors in the all main living areas, and carpet in the bedrooms. Large walk-in pantry/storage area in the Laundry Room, 2-car garage, Jack and Jill bathroom, and 4 spacious bedrooms. 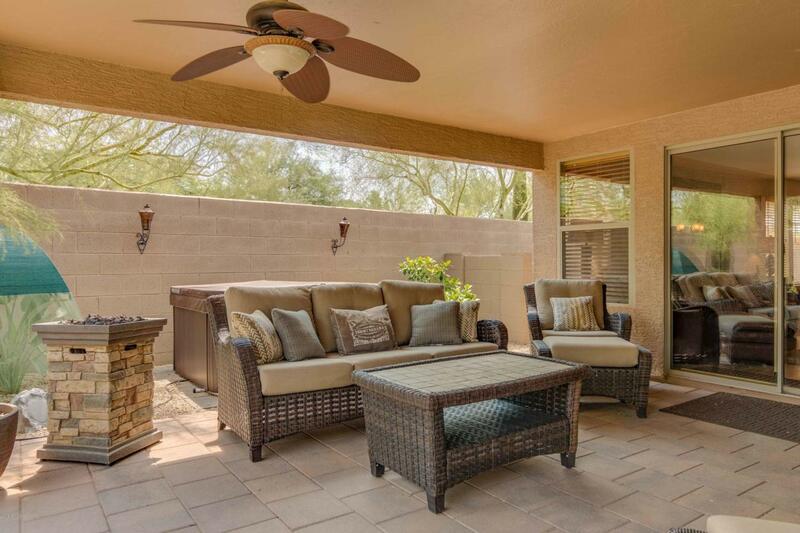 You will love this floorplan, but you will love the backyard even more! 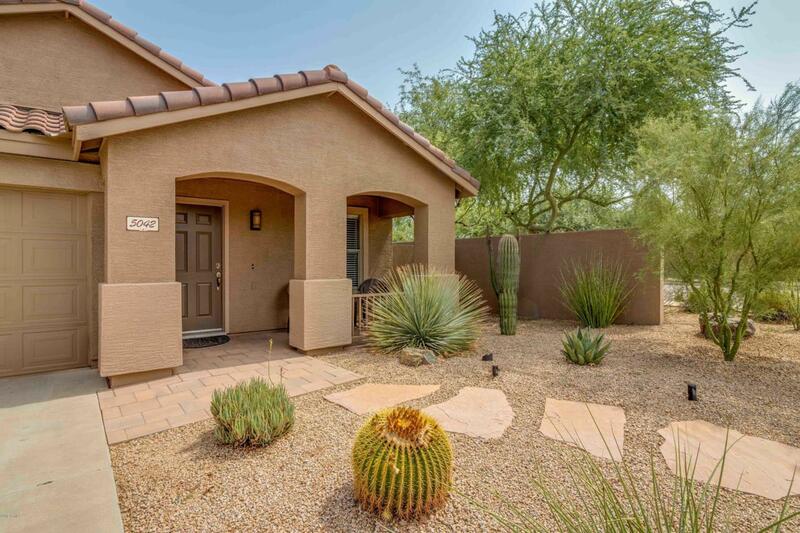 This one is a must see - not many single level homes available in Tatum Ranch with a backyard like this one. Call today for a private showing! Cross Street Tatum Blvd And Dynamite.